This is the eighth in a series of articles about my recent trip to the emergency room, my intestinal surgery, and my recovery afterwards. Here is an index to all of the articles in this series. The last thing I remembered in the operating room was them sticking a cotton swab up my right nostril to numb it so that they could insert an intubation tube. The next thing I remember is waking up in a strange room with a variety of doctors and nurses standing around me. A tube was up by right nostril. I could feel something attached to the left side of my abdomen. I was pretty sure I had a catheter going up me into my bladder as well. I tried to take a deep breath and found that I couldn’t. I could breathe very shallow and rapidly but that was very uncomfortable. I was unable to talk because of the intubation tube but I tried mouthing the words “I can’t breathe”. One person said “He says he can’t breathe.” Another person (I think it was perhaps Dr. Vohra) tried to reassure me that I was breathing OK. I still had a terrible sense that I wasn’t breathing properly. After a while it got a little better. I tried to identify where I was. I thought perhaps it was a recovery room and I tried to mouth the question “recovery room?” They eventually explained to me I was in the ICU. The way my head was laying I couldn’t turn it far enough to see the distinctive glass doors that all ICU rooms seem to have. Even though I didn’t like the way I was breathing, at least I was getting breath in OK for the time being. I faded off to sleep. I continued to fade in and out of consciousness for quite some time. At one interval I distinctly remember the surgeon Dr. Davis explaining to me what he had done. I did indeed have a perforated intestine. The large intestine goes up the right side of your abdomen, goes right to left across the middle (called the transverse section), comes down the left side and out your rear. He said he had removed about 12 inches of my large intestine. He said the perforation was in the transverse section. He said much of the descending section on the left was diseased with diverticulitis, scar tissue inflammation etc. He pointed to my abdomen to indicate about what he had taken out. He pointed to a spot on the transverse section about two thirds of the way from the right or one third from the left depending upon your perspective. He had taken out from that spot to about three fourths or more down the left side. The strange feeling I had on my lower left side was the colostomy. He also told me I had an incision from my navel about four or five inches straight down. I had a minor amount of pain and they told me I could have morphine as needed. I continued to fade in and out with only brief flashes of memory of what happened. At one point I remember seeing Mom and Dad. I also thought I had seen both of my sisters Carol and Karen. Finally I remembered opening my eyes and seeing my friend Judy standing near the foot of my bed on the left side. Someone was asking her “Are you friend or family?” I frantically started mouthing the word “family, family”. Apparently that was good enough for the nurse because they let her stay a while. She came around the bed and stood on my right side. I think she held my hand. From time to time I would fade in and out and she would be standing there. At one point I mouthed the words “I love you”. It really gave me a lot of peace to have her there. It was good to know she’d gotten the message I left on her answering machine. I continued to awaken for brief periods throughout the night and the only person there was a nurse. She was exceptionally gifted at reading lips. I don’t recall what things I would say to her but she seemed to understand me extremely well. I suppose if you work long enough in ICU, you get accustomed to reading lips. Sometime the next morning Dr. Vohra returned and asked if I was ready to get off of the ventilator. Keep in mind that the scariest part of this entire situation was the possibility that I might not be able to get off the ventilator. You would think I would be very anxious to get off the vent but I told him I wasn’t ready. I felt like I was breathing very poorly and there was congestion and my lungs. He said he thought I was going to be OK to come off of it and that he would be back later to remove the vent. A respiratory therapist came in at one point. She was able to suction some gunk out of my lungs. They have a suction tube that goes down inside the intubation tube and into your lungs. It’s a horrible feeling when they do it because you can’t breathe in while it’s going on and there is a little pain involved as well. However the suction really seemed to help. The girl really needs to watch more episodes of “Wheel of Fortune” because she couldn’t figure it out I was trying to say “bed flat”! After I had been awake a while and had had some gunk sucked out of my lungs I was more confident about coming off of the ventilator but I knew I would need some help afterwards. 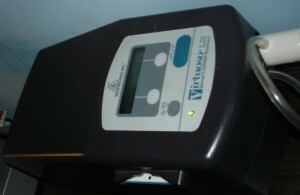 Normally while in bed for long periods I use a device called a CPAP which stands for “Constant Positive Air Pressure”. I wear a mask on my nose that it’s held in place by some headgear straps. The device forces a constant amount of pressure into my nose to help keep my lungs inflated and to help me sleep at night. 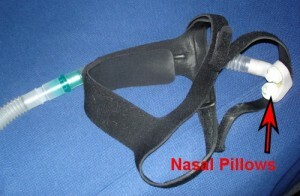 Many people use the device to help them with snoring or sleep apnea. Not only do I have apnea but it really helps me sort of like a noninvasive ventilator. I’ve been using it for several years and it’s really been a lifesaver. Anyway I managed to explain to the respiratory therapist (who was as poor a lip reader as was the nurse) that I normally use a CPAP. There are lots of different kinds of masks that you can use with the device. The kind I use are called “nasal pillows” so I’m trying to tell her that if they bring me a CPAP, that’s the kind of mask I want. I would mouth the word CPAP which she understood. Then I would wiggle my nose. Then I would mouth the word “pillow”. She would understand CPAP and pillow but couldn’t figure out what was wrong with my nose. She didn’t understand the three words went together as a sentence. She kept asking me what’s wrong with your nose? What do you want done to your pillow? Finally she said “We’ll have to wait till your nurse gets back… maybe she can understand you.” This respiratory therapist was already understanding me better than the nurse had been! ntence “CPAP nose pillow”. The nurse repeated those three words out loud even though she didn’t understand them and then the respiratory therapist finally got it. “Oh I understand now! He’s saying you see that uses nasal pillows!” She explained that even though she knew about nasal pillows are not many people use that kind of mask any more and she just didn’t make the connection. When telling the story to another respiratory therapist later on they explain to me that night shift respiratory people might have been more familiar with that kind of mask and day shift people might not be. Somehow I communicated to them that my Mom would bring my CPAP machine. The respiratory lady said the only problem is we have to get someone from maintenance to inspect your machine to make sure it’s safe to use. I tried to suggest to them that we could use the hospital’s CPAP machine with my mask and would not need to call maintenance for an inspection. I don’t know what made me think I could communicate such a complex concept to them so it was no wonder I failed to make them understand. Actually the RT person had better idea… to hell with maintenance… we’ll just plug it in any way. I tried to get the RT person to increase the volume on the ventilator or increase the pressure and although the she did make some adjustments that helped I never really did successfully communicate my opinion that I needed more volume. Anyway I finally agreed that it was OK to remove the ventilator. They removed the tape from around my nose. She told me to take a good breath and exhale. When I did she pulled on the tube for what seemed like an eternity and eventually it was all the way out. It hurt like hell. It was very bloody and I coughed up a reasonable amount of bloody congestion that much to my delight once it was out I could breathe okay. They put in a regular oxygen cannula and gave me two liters of oxygen per minute. I actually felt like I was breathing better without the ventilator and I had been with it which only confirmed my opinion that I wasn’t getting enough volume through the machine. Once I was breathing OK I began laughing and told the nurse and the RT lady and I had some very funny stories to tell them. I explained first and I didn’t want to sound sarcastic and I didn’t want to make fun of them that I just had to tell them all the things I tried to say to them that they couldn’t understand. I told them repeatedly I knew they were doing the best they could and I tried to reach all the stories to them in a lighthearted manner. I really did think it was very funny and they took it very well as I explained what I’d been trying to say to them all morning such as bed flat and CPAP nose pillows (the latter of which they had already finally figured out). They did laugh with me as we relived our little dilemma. 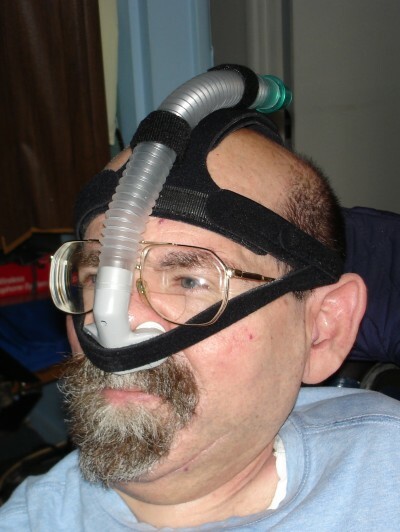 It was only about 15 minutes later that Mom arrived with my CPAP and when we put it on I felt just fine. Mom and Dad were really happy to see me off the ventilator and I had lots of fun reliving my communications dilemmas with them. In the next installment will talk about the rest of my blessedly uneventful ICU experience.